If you are selling a home you’ll need to ensure that the legal transfer of property ownership (this is called conveyancing) is managed by a professional property lawyer. 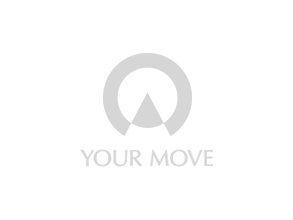 Your Move has a panel of carefully selected property lawyers, solicitors and conveyancing firms, all with a no move, no legal fee guarantee (excluding disbursements), so you can move forward selling your property with confidence. You can instruct us immediately even before a buyer is in place. We have fixed service level agreements so you’ll know what will happen when. We have fixed fees so no hidden surprises. No Sale No Legal Fee if your sale falls through. Case Tracking Service that you can log into day or night. Dedicated conveyancing specialists including a direct dial to the person handling your sale. Our legal works liaise directly with our branch. We offer a Seller Express Service if you’re selling and not buying. What's included in our seller conveyancing services? As part of their fixed fee our law firms will open your file and issue your welcome pack. This includes some standard forms which must be completed for your buyers. You can reduce the stress of moving by completing these upfront and returning them to your law firm so that when a buyer is found paperwork can be issued straight away. The advantages to you are that on average the time to exchange is reduced by nine days - that’s nine days less stress! All our law firm partners have agreed to sign up to our customer service charter so you have confidence that they will not only act in your interests at all times, but that they will keep you appraised of progress and communicate with you at regular intervals without lengthy periods of worry and uncertainty. Our law firms charge only what is agreed at the start of a transaction and therefore you can budget with complete peace of mind. Contact your local Your Move branch for a conveyancing fee schedule. We are so confident that by working with our law firms we can prevent as many problems as possible that we are even prepared to offer a No Sale No Legal fee guarantee (this excludes disbursements). In the unusual event that your move does not proceed on the first occasion then your law firm will not charge you for any work carried out and will keep your paperwork so that work can begin as soon as we find you a new buyer. At any time of the day or night you can log onto our website and view the latest updates and understand how your move is progressing. You can register for email updates throughout your move. You can email your law firm from our system and ask any questions you may have - you never need feel like you are on your own or that there is anything happening without you being updated. Many lawyers are still carrying out court work as well as Conveyancing which takes them out of the office and away from the phone. We only work with dedicated specialists who will be there to help you and whose direct dial will be provided to you. They will also ensure that at least one assistant is available so if they are already on the phone to a client you can still talk to someone who knows what is going on. Our law firms all agree to work with our branches on your behalf which means that we can meaningfully chase the progress of your move. We can follow up any requests by the law firm to assist in chasing the chain and we can more positively and pro-actively assist with achieving a smooth move. This is a specialist team who are able to fast track your move when you are selling and not buying on. By concentrating on sale only cases they can achieve faster times to exchange meaning that you have less worry and any sale proceeds are paid to you as quickly as possible. The conveyancing process differs from property to property and the amount of time your move will take will also depend on the number of people in the chain. The law firm will advise you of any charges in advance of you instructing them. You can obtain a schedule of conveyancing costs. Price should not necessarily be the critical factor in appointing your law firm. The service they will offer you will be critical during what can be a complex process. Our law firms will work with us to ensure that you are kept up to date and that everything is explained clearly. Who will handle my conveyancing? Our law firms all employ qualified specialist property lawyers. You will also have a dedicated case handler and a direct dial to them and their assistant ensuring that there is always someone to talk to. In the unlikely event that there is a problem you can call your local Your Move branch who will be able to liaise with the law firm and ensure that you are fully aware of any issues and what is being done to resolve matters and what timeline to expect. What happens if the sale/purchase falls through? Again this is unlikely but if this should occur you will not have any legal fees to pay and for sellers Your Move will immediately re-market the property to find alternative buyers. Our conveyancing service for buyers means you won’t even have to pay for search fees on a second property as we will pay these for you. What happens if I change my mind about selling or buying? Until contracts are exchanged either party can withdraw at any time. There would be no legal fee to pay because of our No Sale No Legal Fee promise (excludes disbursements). What will I need to provide the law firm? Sellers : The law firm will require Identification which we can help with – you can call into your local Your Move branch office and we will take copies and a financial advisor will certify them – please phone in advance to ensure that they are available. You should also supply any paperwork such as planning consents, letters received from the local authority and any guarantees for products which are staying, eg double glazing. If you hold the title deeds these should be sent by Recorded Delivery but most properties are now registered at the Land Registry and proof of ownership can be obtained electronically. Buyers : You must also supply identification and again our local branch can assist. You also need to pay the search fees when you instruct the law firm to avoid delays. A freehold property is owned by you outright and no one else has any interest in any part of the building (other than a lender who may have a mortgage). A leasehold property is where part or all of a building is granted to you for a specified period of time, eg 99 years for a standard flat after which ownership reverts to the Landlord. Leasehold properties often carry obligations to contribute to maintenance of shared areas, eg car parks lifts stairways and there will be a requirement to pay ground rent to the landlord.